So the Boom and I have always lamented that beef nowadays is somehow lacking it’s “moo” while you don’t get the “baa” unless you resort to mutton or goat. One can’t get mutton or goat unless you have a halal butcher close by. Supermarkets tend to only stock lamb. The Boom is currently based out in Croydon and he happily told me he has easy access to mutton/goat if I’m keen. 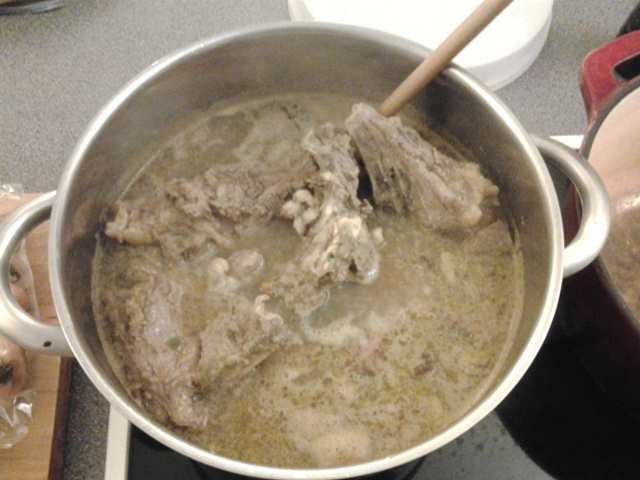 When it comes to cooking, I always am and so he turned Neanderthal on Friday and lugged home a huge leg of mutton/goat. We are still not sure whether the leg belongs to an old sheep i.e., mutton or a goat. There was some communication breakdown between Boom and the butcher. To the both of us, mutton = old sheep while goat = Billy Goat Gruff. Perhaps to the ethnic community here in London, there is no such difference. 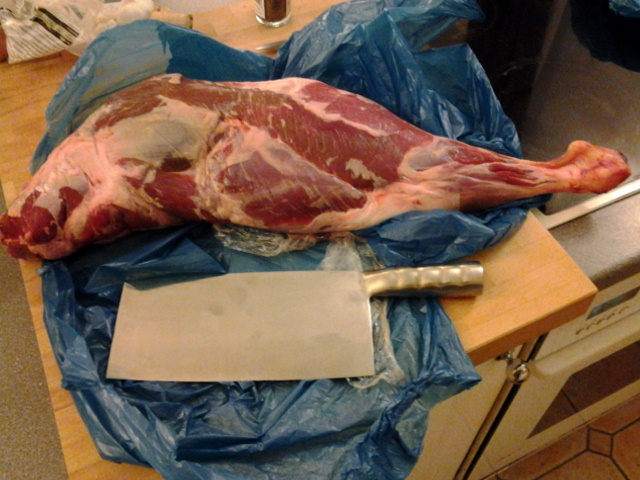 One thing’s for sure though, the smell of the meat while butchering the leg, what we have here is no bouncy spring lamb! After loads of hacking, slicing and dicing, we ended up with enough meat to cook 2 dishes. Mature cuts like this requires slow cooking. I decided we should have a Sup Kambing which is a soup dish I grew up with and a Caribbean Goat Curry which Boom loves. Looked through the interweb for recipe inspiration and interestingly, both recipes use almost identical spices. Fennel, cumin, coriander, black pepper, ginger, onions, garlic are in both recipes with the Sup Kambing requiring some nutmeg while the Caribbean Goat Curry asking for curry and all spice powder. This makes Junk’s life much easier as I only need to toast and grind one set of spices. 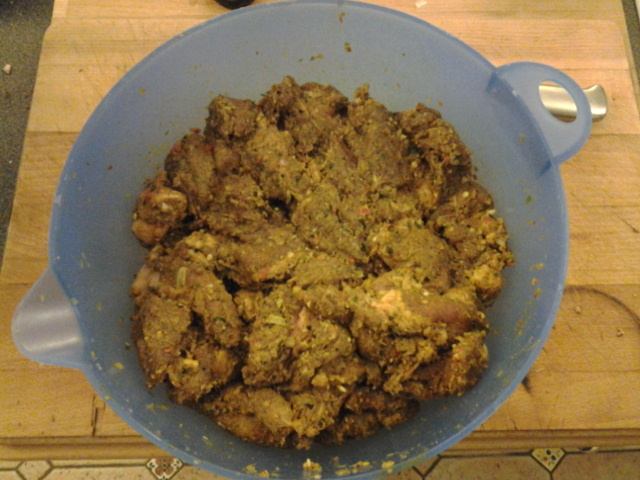 The meat for the curry was left to marinade while I proceeded to cook the Sup Kambing. Mr Saucisse lucked out as he got to have bones after they have done their work flavoring the soup stock. While the soup was bubbling away, I started on the curry. Dust the marinade off the meat, brown the meat then add coconut milk and enough water to cover. Leave it left bubbling for at least 3 hours on low heat, taking care to give it an occasional stir so the bottom don’t catch and burn. The soup turned out pretty good. Spicy with a good body from all the onions and bones. The pepper warmed up the body on cold nights like Saturday. Served with a side of garlic bread and crispy shallots, it made for a heart and rich meal. Highly recommended. 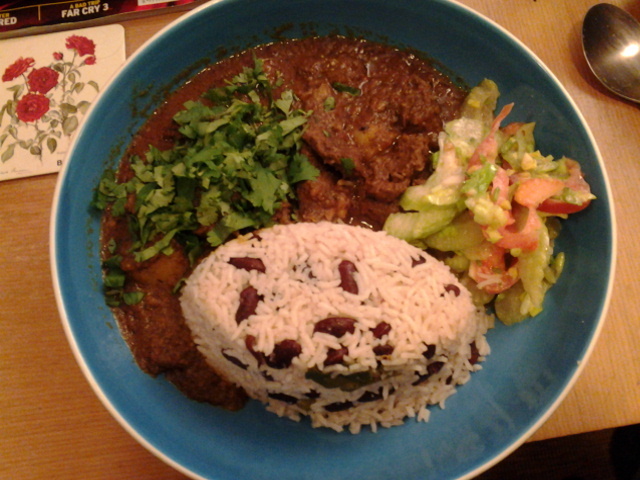 As for the curry, it continued to cook on Sunday and was served with Rice and Peas. Threw together a small side salad to cut the richness from celery, tomatoes and spring onion with a dressing of yogurt, lime juice and maple syrup. Boom did not fancy the salad but I thought it was ok. The curry could be better, perhaps the leftovers will brew up better. Still tasty though. Blame lighting at Chez Boom, everything is of a similar shade. But then again it’s just a permutation of the same ingredients. Not at all surprised. Junk lucked out today! 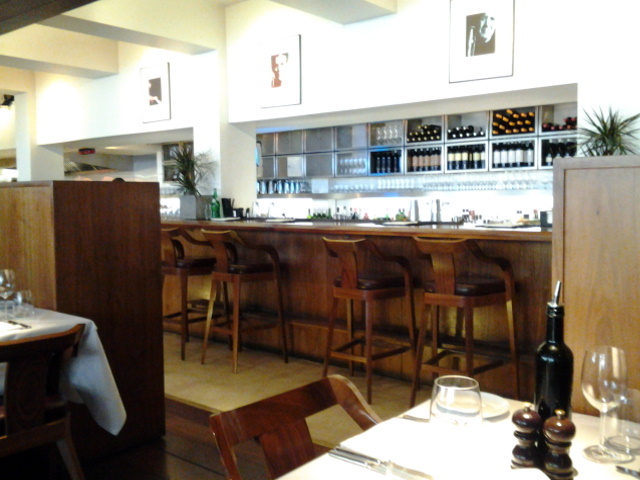 She got to go to a rather posh restaurant for lunch and all thanks to Stan! Yes, that damned one I was cursing the other day. Then again, it wasn’t purely out of the goodness of his heart, it took a Kindle to make him cough up lunch. The story goes, since I got a tablet and am running the Kindle Android app on it to read, saw no point to my Kindle with keyboard. In the spirit of decluttering, decided to flog it off to willing takers. That’s where Stan came in and I offered him the Kindle in exchange for lunch. 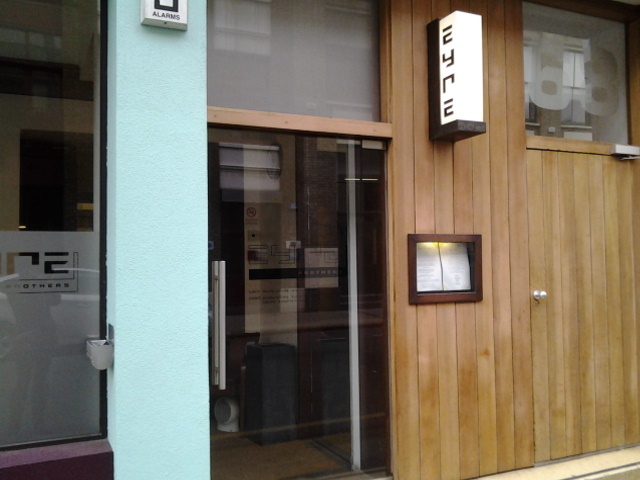 Apparently he has been wanting to try Eyre Brothers after reading about it in Timeout, guess this is the opportunity. 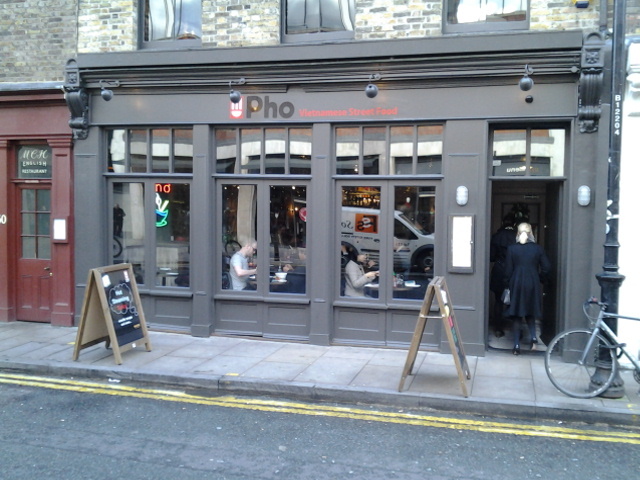 The restaurant is located within walking distance from Shoreditch High Street Overground and is in the midst of some pretty funky shops, restaurants and cafes. I should really spread my wings and wander around that area for lunch. Unlike other Spanish/Portuguese restaurants, the decor is very modern with no reference to the restaurant’s culture influences. I find that very refreshing, not a single toro in sight. 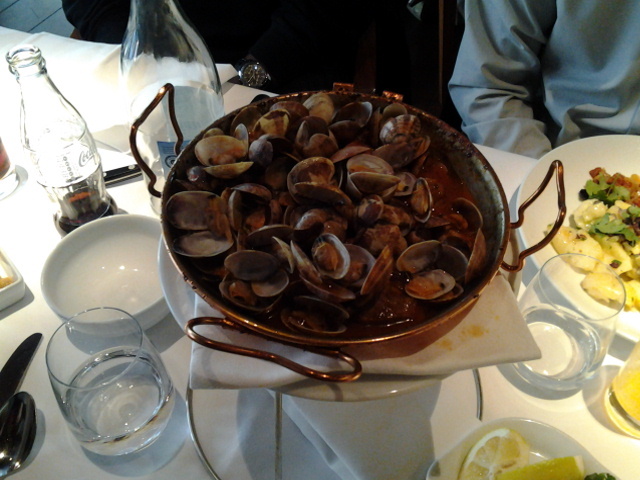 Stan made reservations and suggested the Cataplana de Porco Alentejano which is a sharing dish for two. Pork, clams and being free, can’t say no now can I? 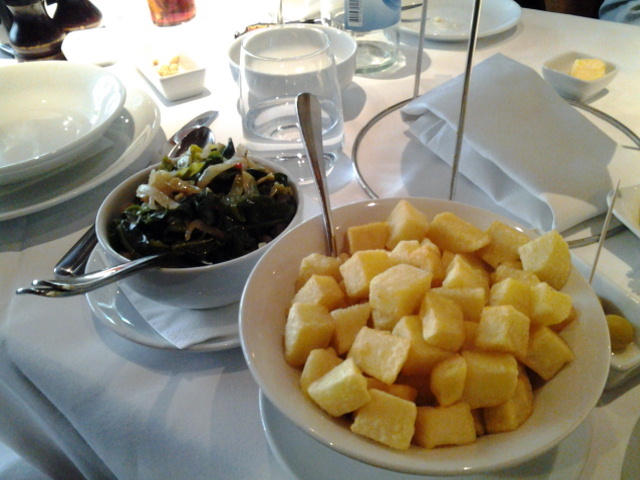 Also ordered a side of braised cabbage greens as the token veg. The Nigerian and Mr CSS were also invited and they ordered a lamb and a hake dish respectively and they both looked pretty good as well. 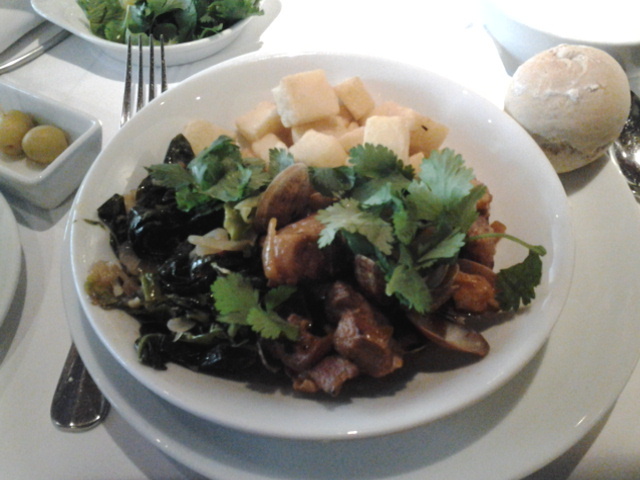 Pork and clams, some might think that it is a weird combination but it turned out spectacular. The pork belly was braised just right, tender enough to tear with a spoon yet still maintained a slight bite. The clams provided the briny ozone taste of the sea to the braising liquid which I think had some red wine, rosemary and something that gave it the anise taste. Tarragon perhaps? Some lemon wedges and coriander were served with the dish and we were told to pile our plate with fried potatoes, the stew, a scattering of coriander and topping it all off with a good squeeze of lemon juice. 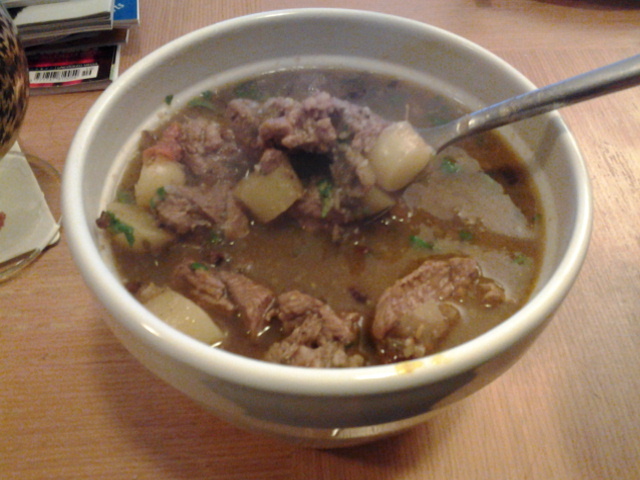 The recommendation worked great, the lemon juice and coriander complimented the rich stew perfectly. 2 minor complains, the fried potatoes were slightly under cooked, could be crispier and if only bigger clams were used. The ones we had were tiny. Perhaps it’s not clam season? Mains for the 4 of us with water, 2 Cokes and an orange juice for around £110 which includes service charge of 12.5%, not an everyday lunch thing but good as the occasional treat! Thanks Stan! Hope you enjoy the Kindle. I have just died and gone to heaven! Ok ok, at least that’s how it feels like after today’s lunch. 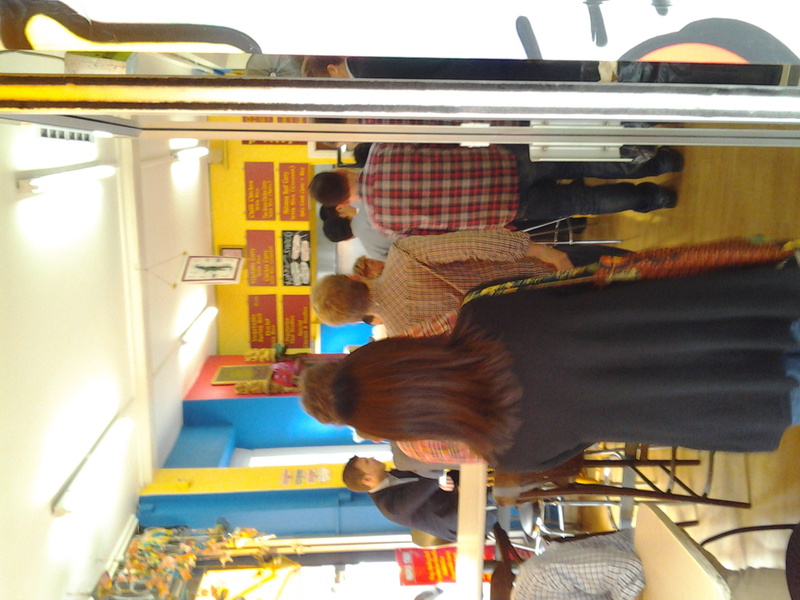 So I managed to drag Mr CSS to Mama Thai for lunch today and we made it a point to go later to avoid the long queue I saw the last time I walk by the shop. How can I not be excited when there is a separate condiments area where you can load up on pickled chillies, dried crush chilli sauce and various other sauces when you eat in? 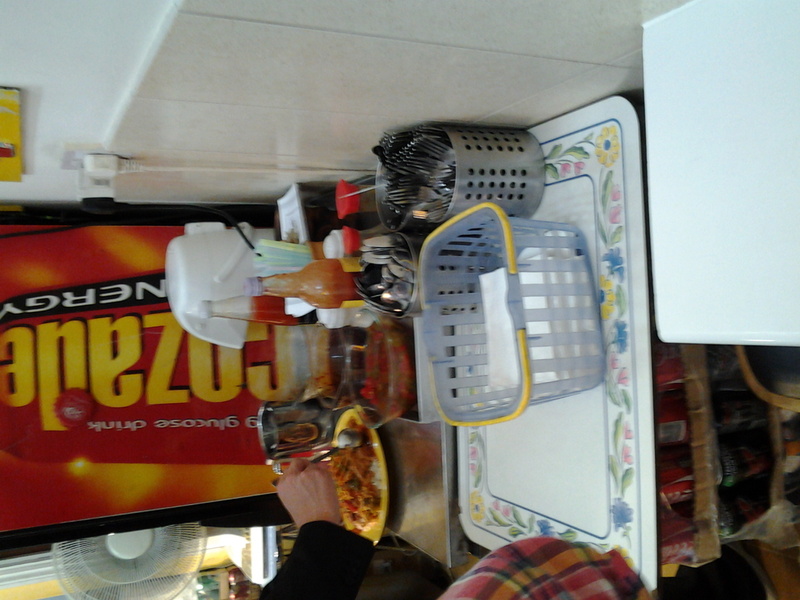 Most places are not trusting enough to allow their customers to help themselves to condiments. 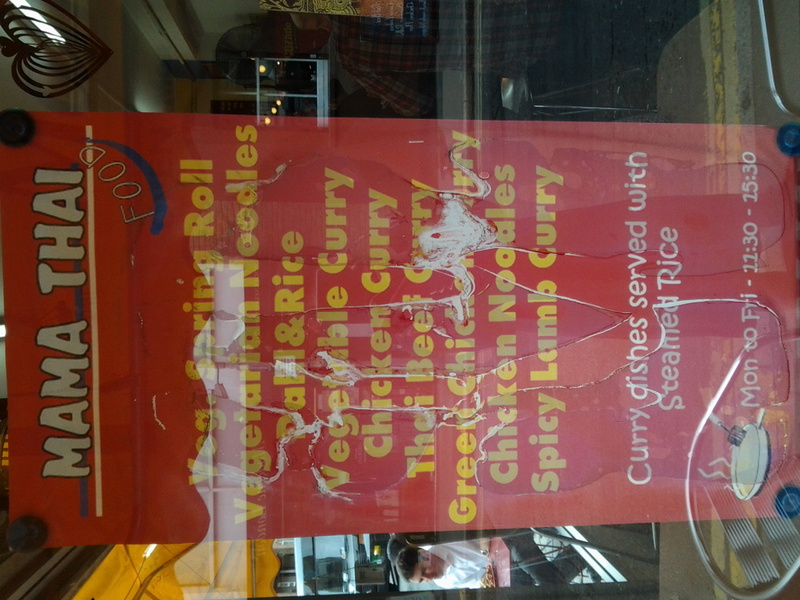 The menu shown on the window of Mama Thai merely gives an indication of what’s available. The menu on the top wall in the shop provides more detail but surprisingly, no price? 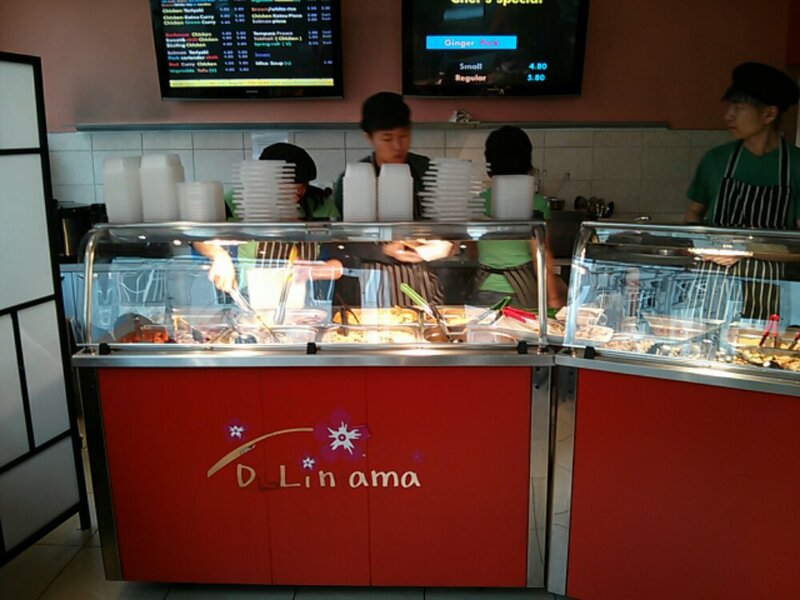 Prices are only shown for some of the snacks and starters. 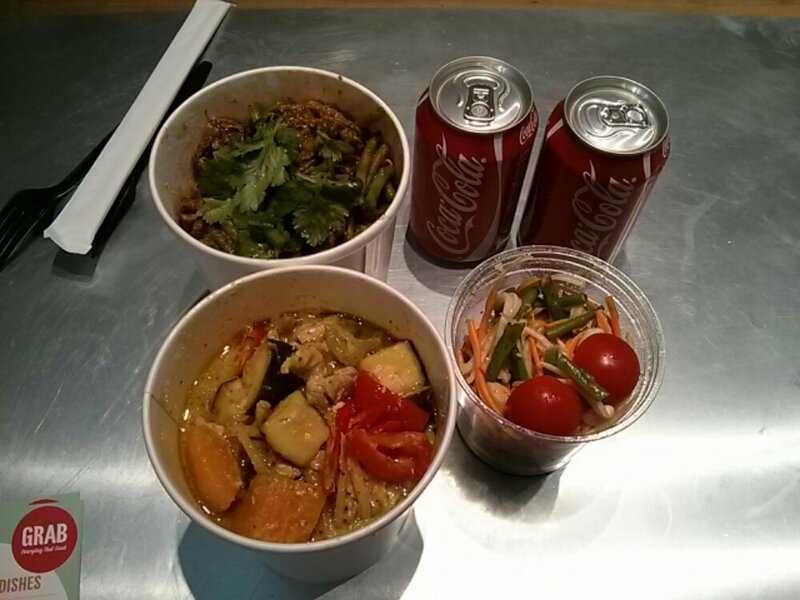 According to their website, apparently Mama Thai used to be in the Old Spitalfields Market but since has relocated to their own premise. 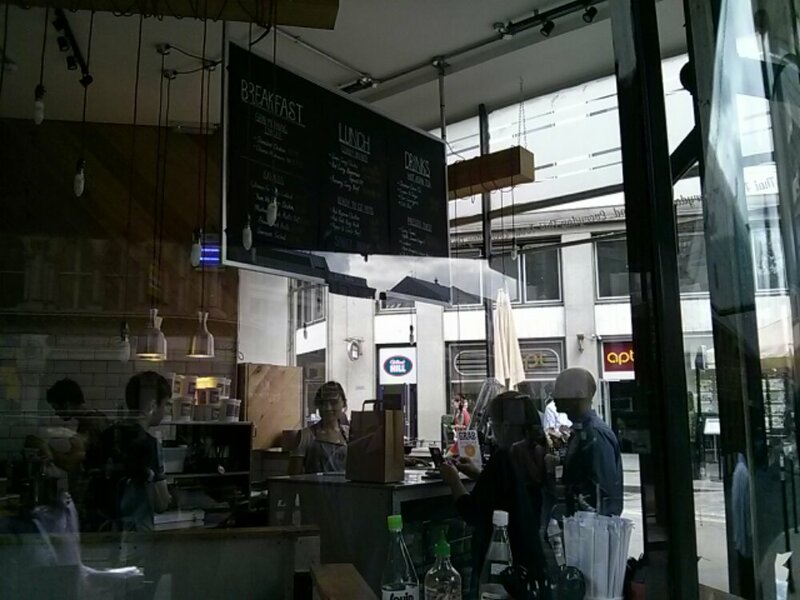 They are open Mon-Fri, only from 1130 – 1530hrs. Guess they strictly cater to the office lunch crowd. 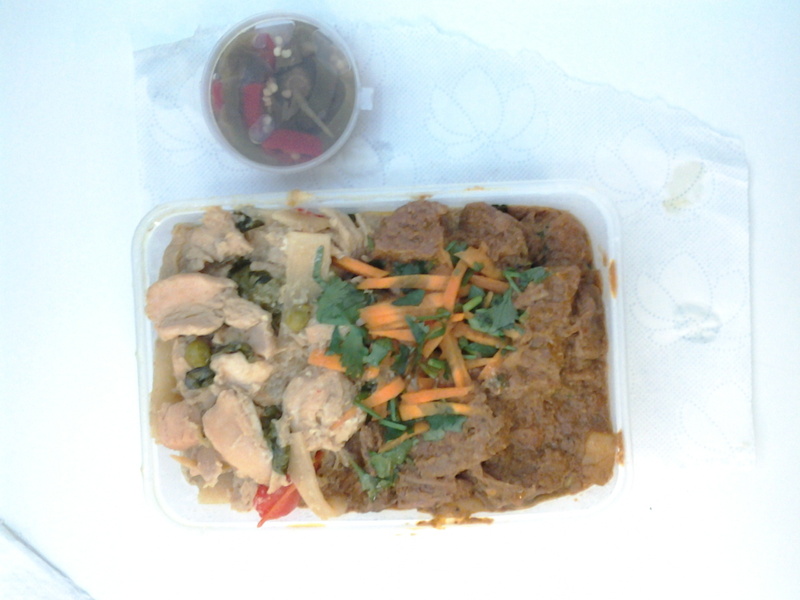 I decided to start with the basics of Beef Massaman curry and Thai Green Chicken curry. I think you can have noodles as your carb but I went for steam rice. The portion was more than generous as you can see when laid out on a big dinner plate. The beef was nice and tender with chunks of potatoes and sprigs of coriander. 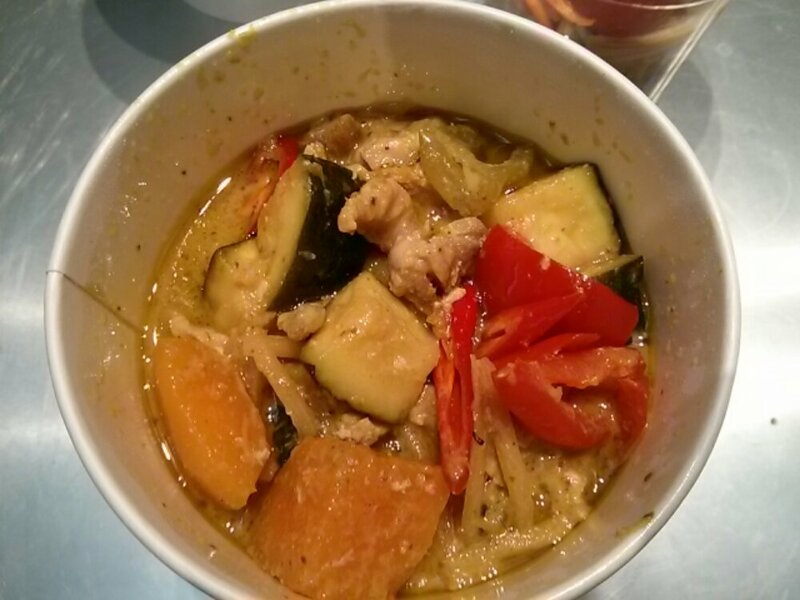 The green curry was also pretty good though its missing the basil that is usually present in green curries. If you are wondering are the curries those that will leave you with a ring of fire, worry not. They are both flavorful but not at all hot. 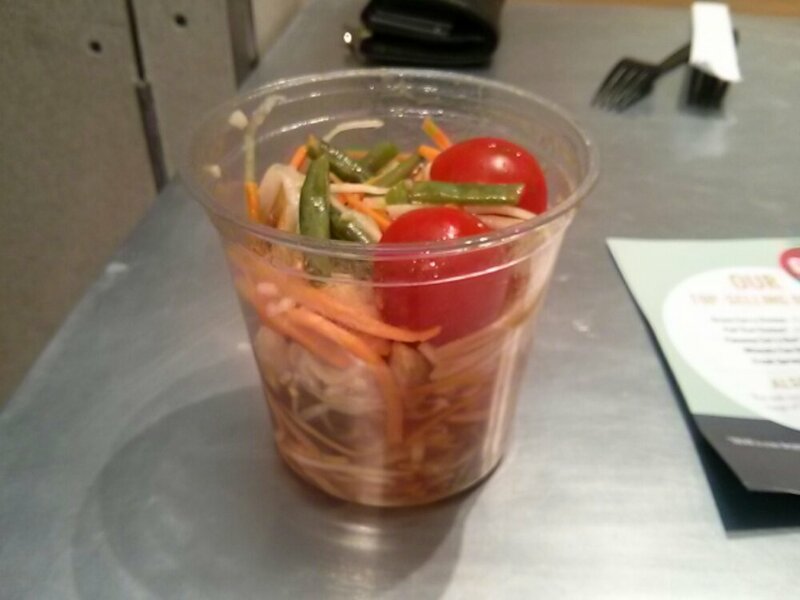 I did ask for some pickled chillies that are already prepacked in a small plastic container. 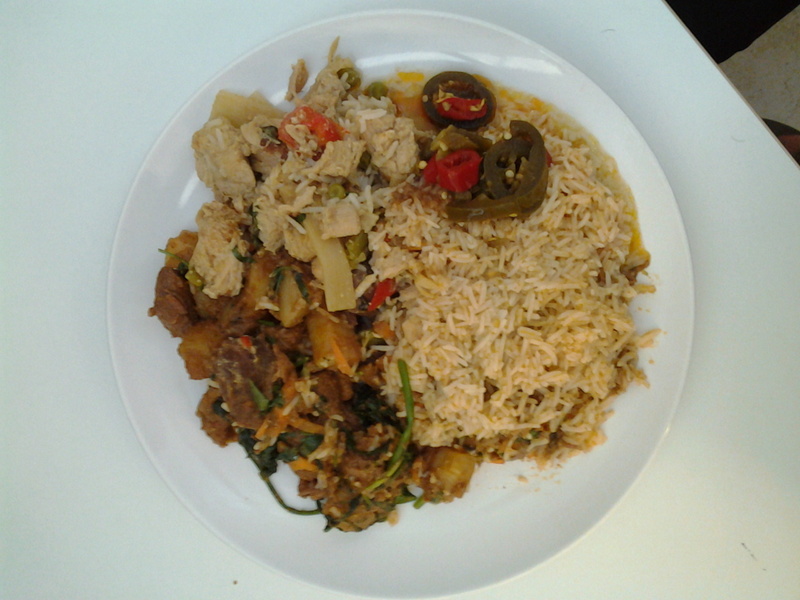 Lucky I did as the tartness of the pickled chilli complemented both curries very well. All this for £5! Bargain! Mr CSS got the exact same order as me so I did not bother to take a pic of his portion. Great minds think alike! Would I go back to Mama Thai again? I definitely will! p/s: Sorry for the blurry pictures, I was quivering with excitement! Really need to get my addiction in check! 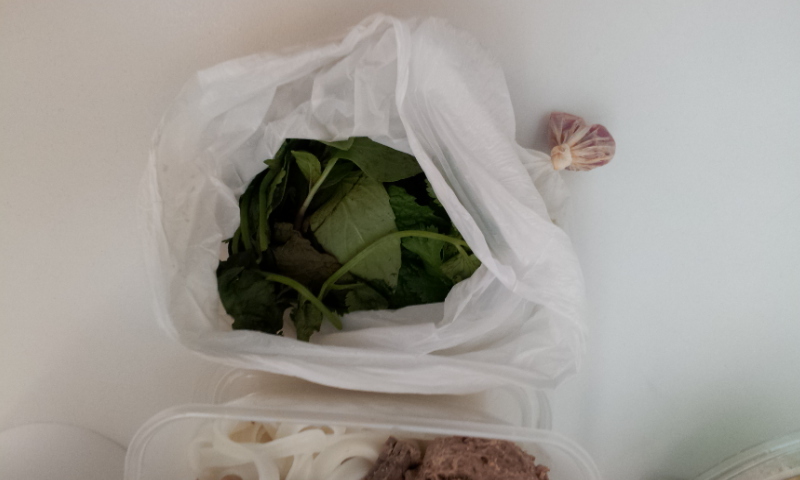 So today is part two of the Pho Off! Apologies to everyone who was looking forward to this. 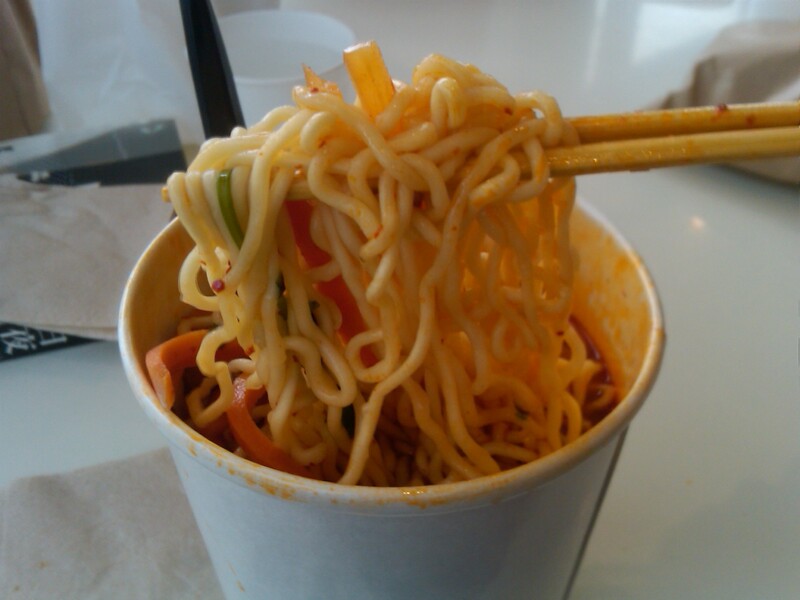 The weather was nice and warm recently and not conducive for soupy and hot lunches. But I decided to pull my finger out today. 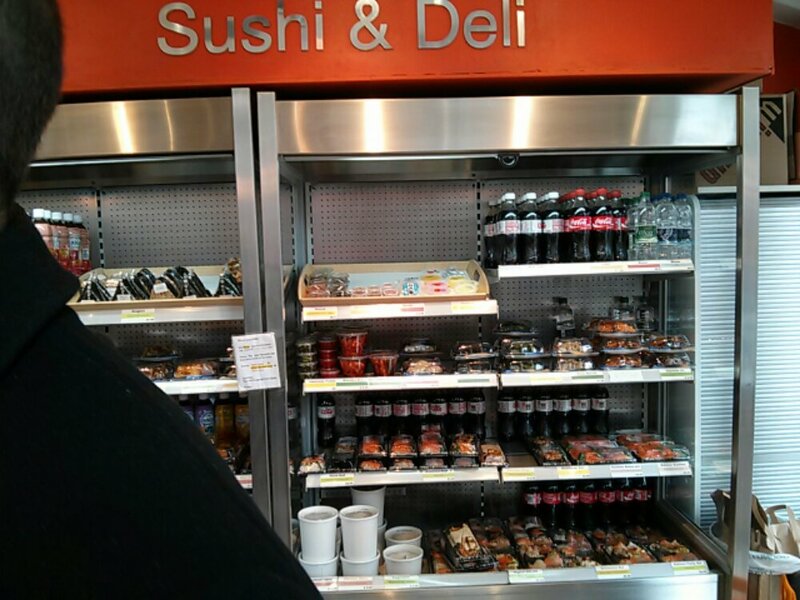 So Mr CSS and I decided to get lunch together today. It’s nice to have a buddy walk with you and a good opportunity to talk about other stuff apart from work. Appreciate the fact that though he decided to satisfy his addiction for the Chicken Katsu Curry Rice at Japanika, he still walked with me to Pho. Thank you! 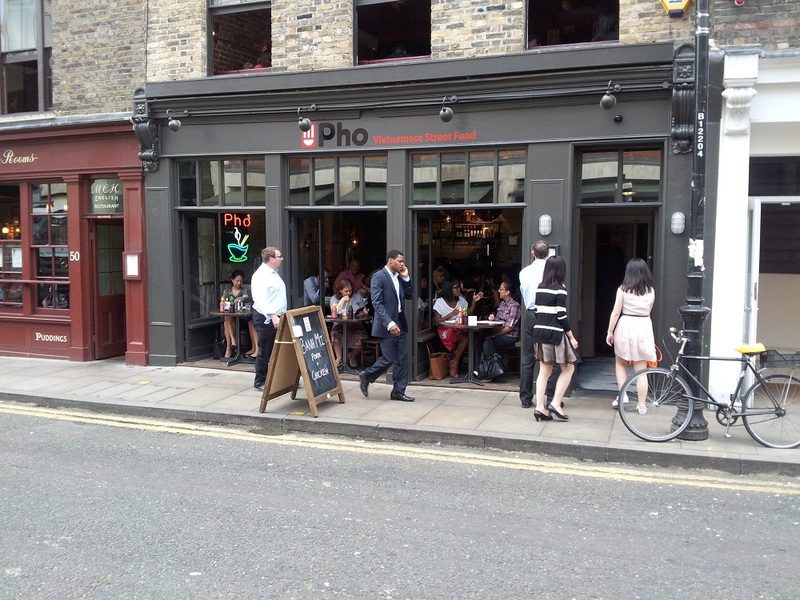 I have eaten at other branches of Pho before, the Oxford Circus and Westfield Shepherd’s Bush branches so I know the quality of the food. 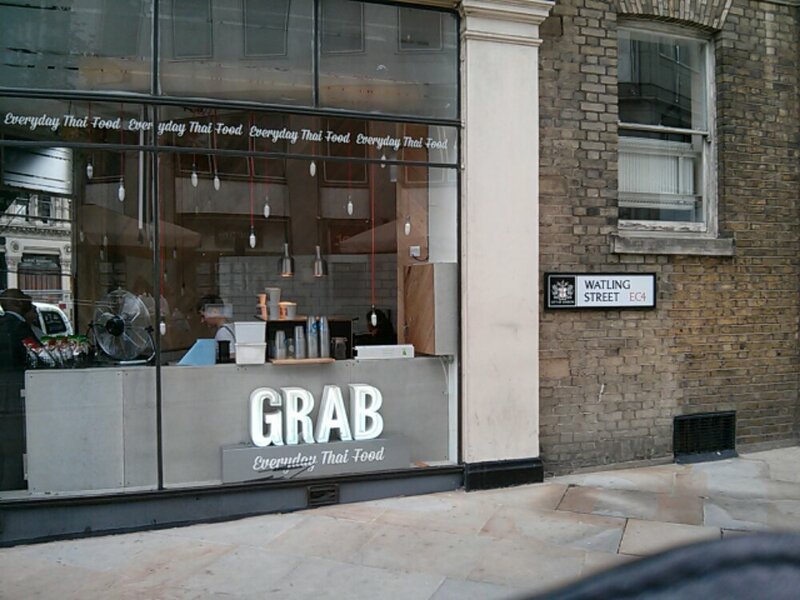 This branch at Spitalfield is brand spanking new. At most a month old? 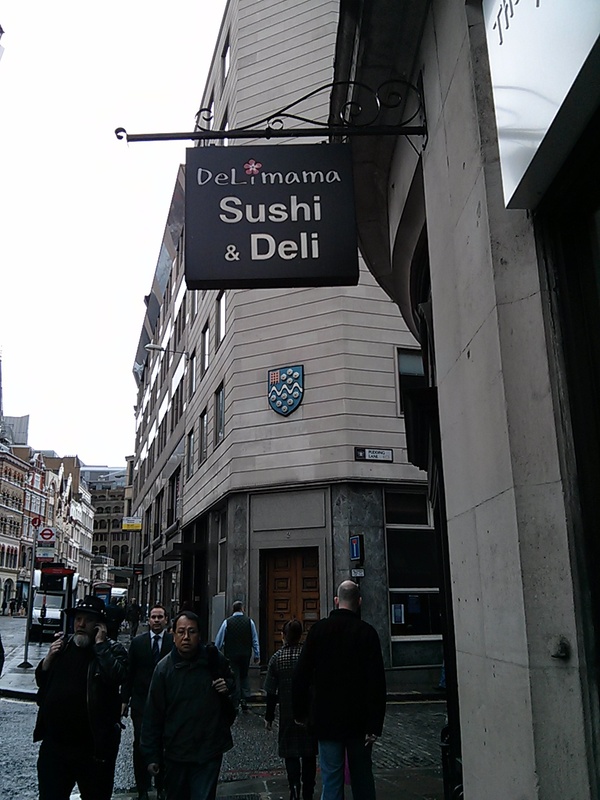 It has a cut down takeway menu and the takeaway counter is upstairs up a flight of wooden stairs. 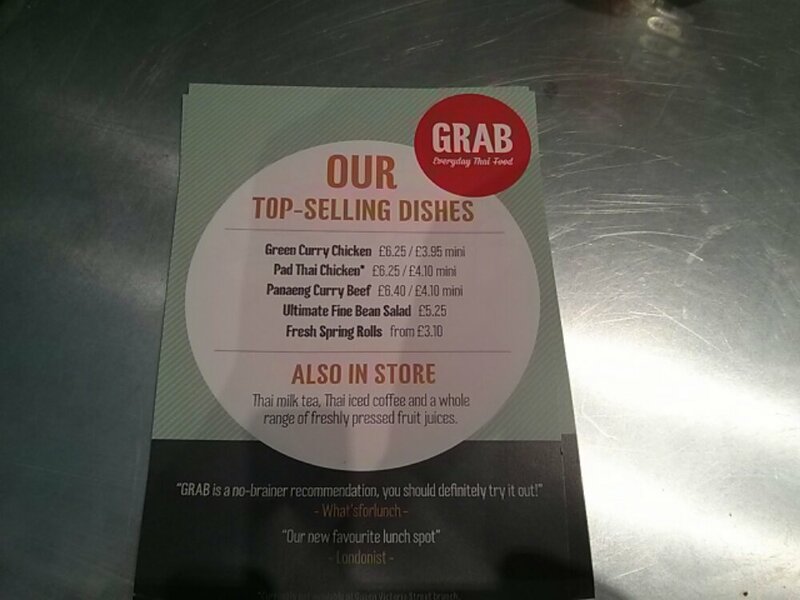 According to the takeaway menu, you can call and order in advance and just turn up to collect. I did not know about that so ordered on site. It did not take that long which was great! 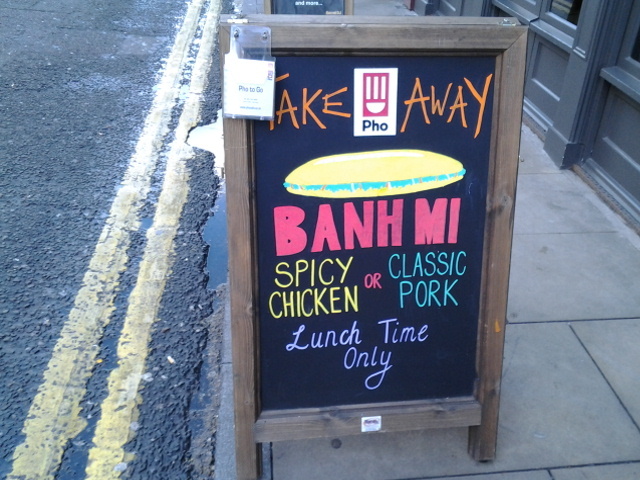 Apart from pho, they have other interesting choices so definitely worth a revisit in future. Since this is part of the Pho Off! 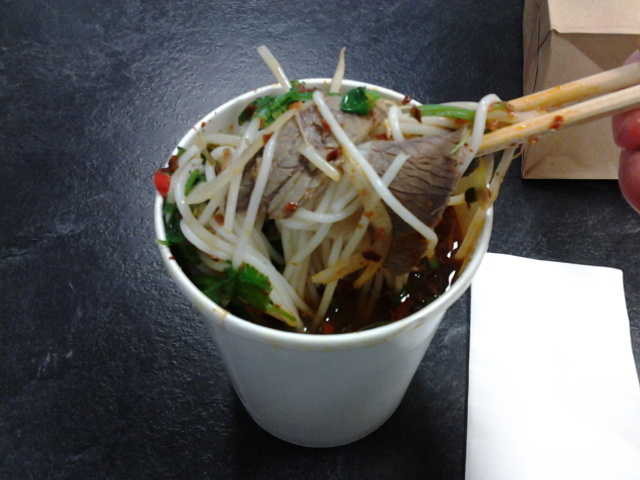 installment, I had to order a pho. I went with the Pho Chin Bo Vien and a side of Fried Pork Spring Rolls. Chin = Beef Brisket, Bo Vien = Beef Balls. Total bill came to £10.90. Yikes! Perhaps I can do without the Fried Pork Spring Rolls…. 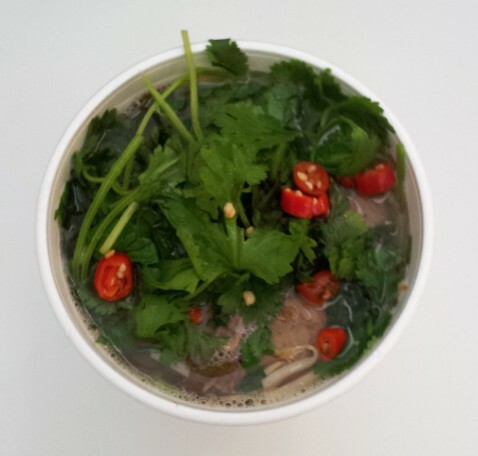 I know that when you eat in, you will get a tray of herbage for you to customise your pho the way you want it. 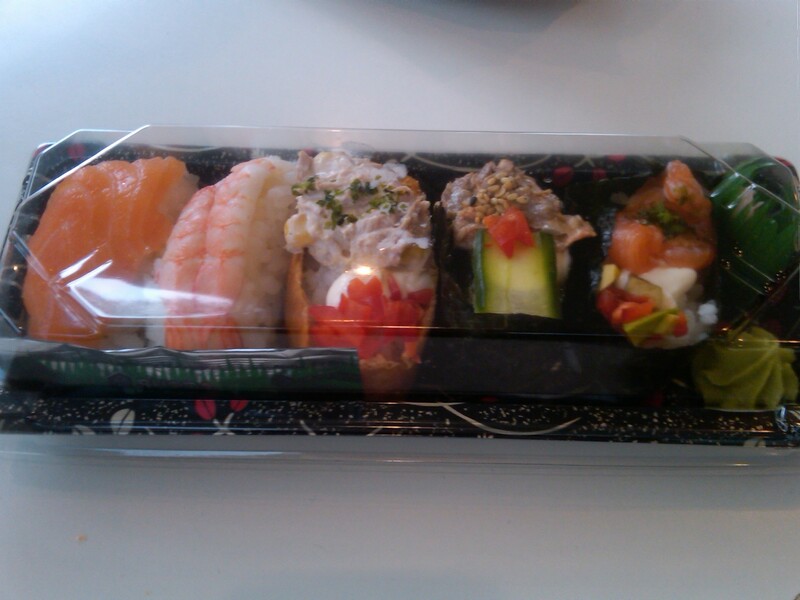 I was not expecting this with a takeaway so was pleasantly surprised. The small bag contains sprigs of mint, basil, coriander and a lime wedge. Yes! Lime wedge, not lemon. 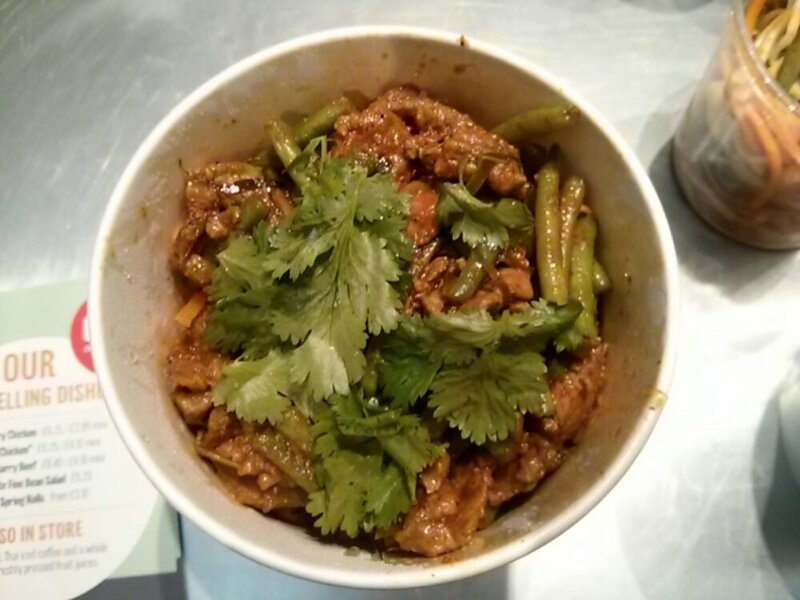 They even bothered to separate the evil sliced red bird eye chilies! That’s the way to go! 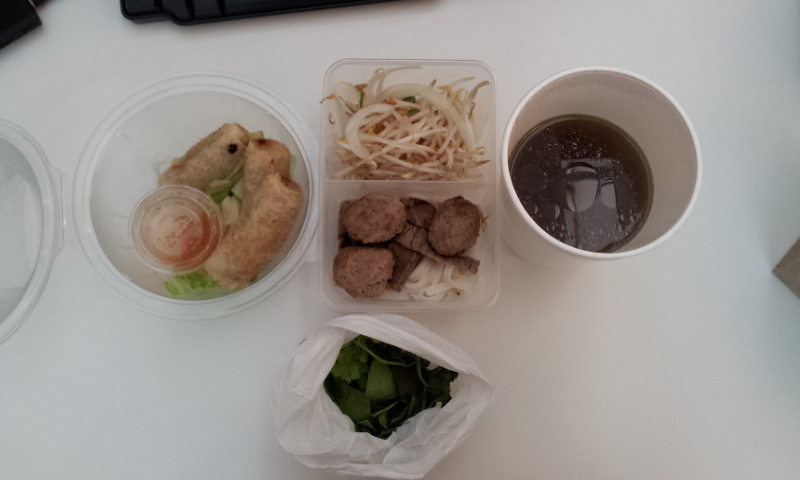 If you refer to the first pic, I really appreciate that almost all the components of the pho is packed separately. This prevents the bean sprouts and rice noodles from getting soggy if they were soaked in the soup. But it does take some effort to assemble all the components and tear up the herbage. 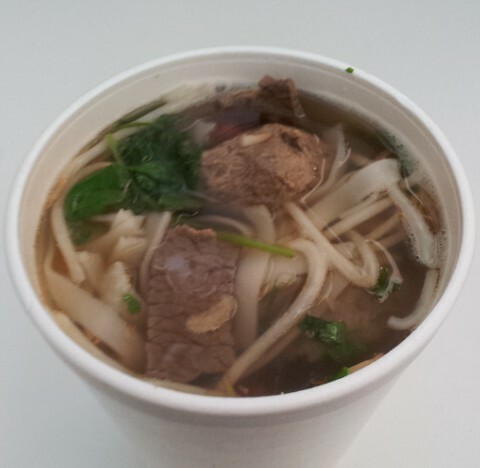 This is what I expect a pho to taste like. 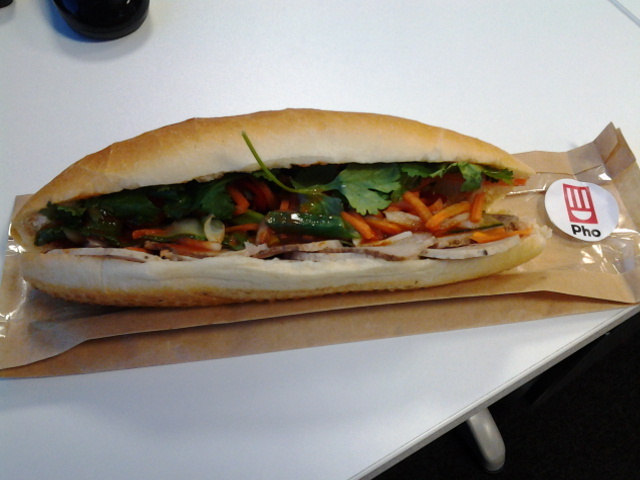 Though not as good as what I have tasted in Vietnam, I think it’s not a bad attempt, for a chain store at that! The broth could do with a stronger star anise taste but has a deep but not coying beefiness. The herbage and squeeze of lime juice really helps to life the flavour. The beef brisket was slice evenly and of the right thickness and the beef ball taste as they should. 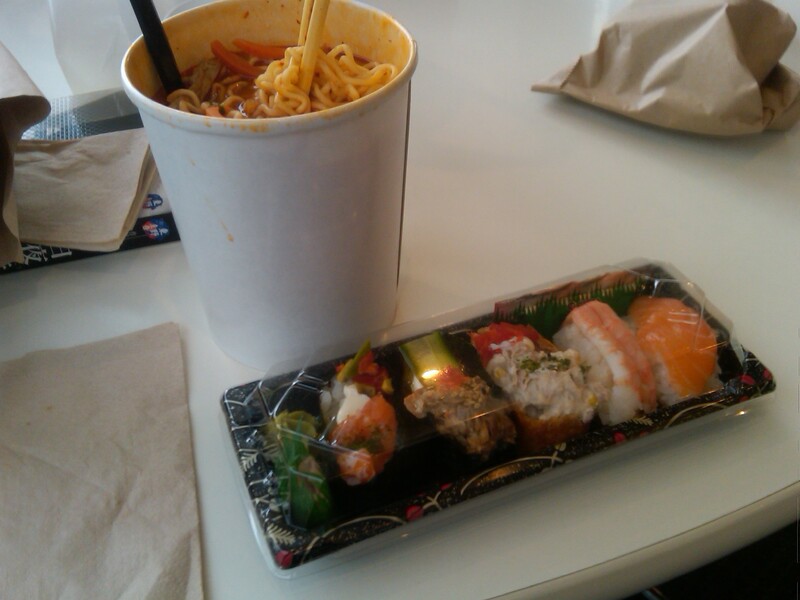 All in all, I was satiated. I really did not need the Fried Pork Spring Rolls. I was stuffed after I finished the pho (well, I drank all the broth).They were filled with minced pork, granted carrot, rice vermicelli and wood ear mushroom. It was nice and crispy when hot and is served with a side of nuoc chiam. Maybe a tad oily. I only had 1 roll and kept the rest as a snack for later. 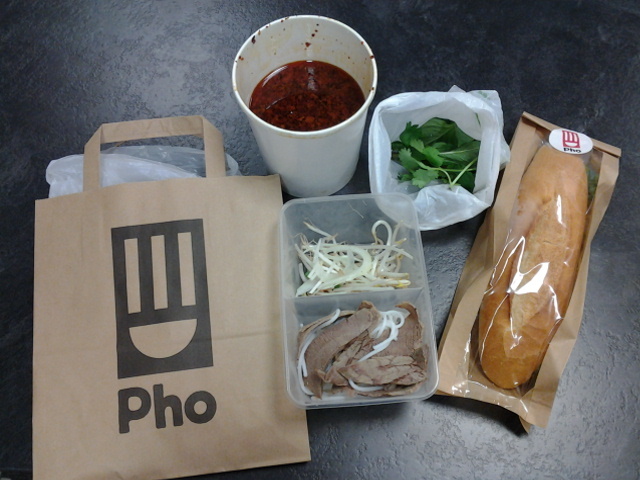 I don’t think it takes a genius to know which of the 2 pho I prefer. But I will still bored you folks with a PROPER summary post in the next couple of days. p/s: Mr CSS and I got caught up in a celebrity filming session on the way… guess who? Who is the gentleman in pink? 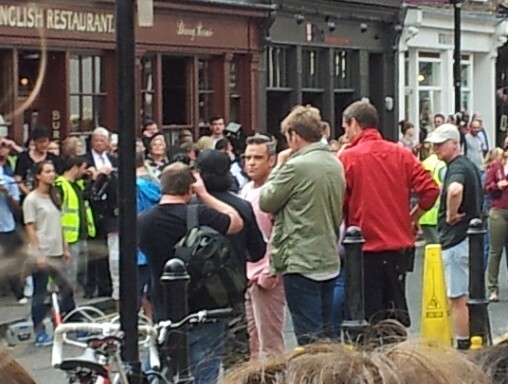 It’s Robbie Williams!